April 25, 2011 By This post may contain affiliate links. With Mother’s Day right around the corner, I wanted to celebrate by mom, Louise Jackson, and show you just where I got my creative talent. My mom is an amazing artist who enjoys sharing her love of art with others. 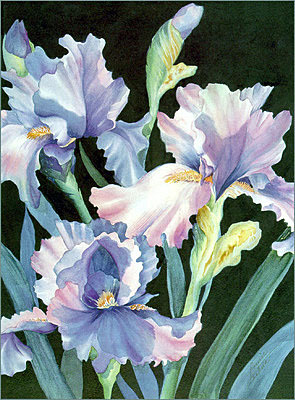 Over the course of her career she has taught classes to tens of thousands of students all over the world, has written 23 tutorial style books including Painting Flowers in Watercolor With Louise Jackson, and has adorned my walls and those of friends, family, and admirers with beautiful artwork. I feel so blessed to have a mother who loves what she does for a living and taught me to do the same. I’m working on a few Mother’s Day inspired recipes that I will share with you in the upcoming weeks, but wanted to ask a favor of you. 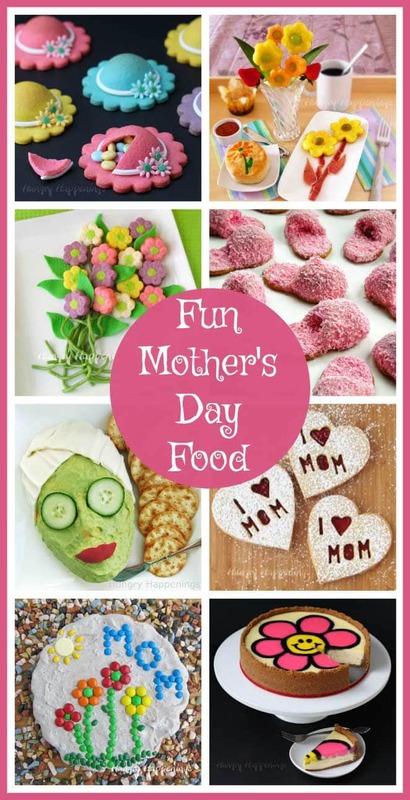 I entered a recipe/essay contest for Mother’s Day over at Love With Food and there is voting involved. I would be so happy to have some of my followers cast a vote for my recipe/essay. Two lucky voters in the Love with Food contest will win $50 gift cards, too. 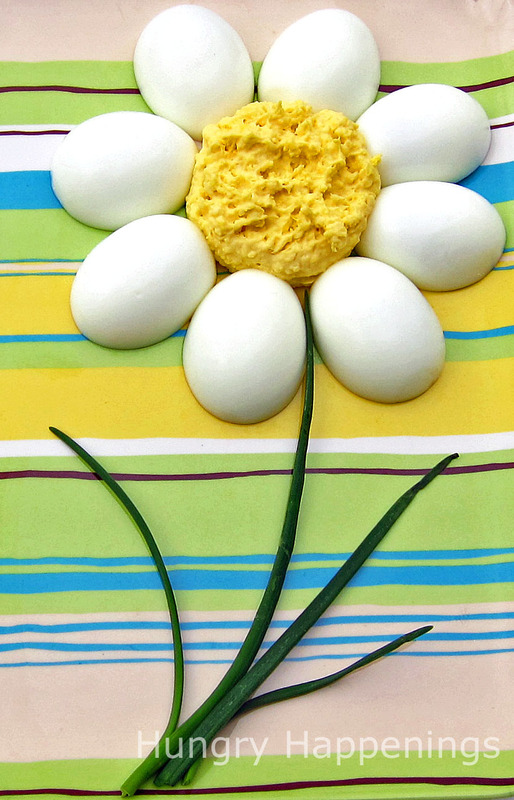 I didn’t have to think too hard about the recipe that I would submit as I had just transformed deviled eggs into a flower. My mom paints many things, but flowers are her favorite and she loved my Deviled Egg Daisy. Although the actual recipe is very simple and not really much of a recipe at all, I thought the presentation was beautiful and worthy of my mom. I grew up in a house filled with paintings of flowers adorning our walls, all of which were lovingly created by my mom. Her passion for doing what she loved was so evident to all of us kids that I grew up knowing that I would be happy if I found my true calling. My mom’s heaven on earth happened to be in front of a canvas or piece of watercolor paper. Mine is in the kitchen. I did, however, follow in my mother’s footsteps in a round about way. I have found my bliss in creating art out of food. Painting and teaching others to paint kept my mom pretty busy so she tended to prepare very simple meals for her family. Although I don’t always follow this philosophy in my kitchen, (the more complicated the better) I still enjoy many of the flavors of my childhood including a very simple two ingredient deviled egg recipe. I know the actual recipe here, isn’t terribly exciting, although it is tasty. But I turned this simple recipe into something my mother would love. What better way to pay homage to my mom than by taking one of the foods I grew up eating and transforming it into a work of art? The first flower she learned to paint was a daisy, so this flower is for her to celebrate her passion and the love she shared with me. If you were moved by my essay and like my Deviled Egg Daisy, please visit the Love with Food website and vote for my recipe/essay. Thank you. Stay tuned for some fun Mother’s Day recipe ideas.